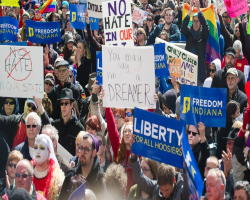 Not only did the recent Burwell v. Hobby Lobby US Supreme Court Decision give corporations religious rights that only individuals had under the 1st amendment, but the decision confirmed the religious have extra-consitutional rights. It’s all because of the Religious Freedom Restoration Act that was passed in 1993. 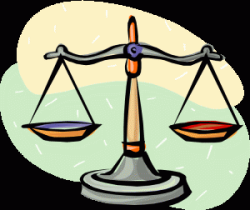 This entry was posted in Courts, Entanglement, Religious Intolerance and tagged abortion, birth control, Burwell v. Hobby Lobby, church and state, contraception, corporate personhood, religious exemption, Religious Freedom Restoration Act, Sebelius v. Hobby Lobby Stores, women's rights on July 4, 2014 by Doug. On January 28th, a bitterly cold Tuesday morning, approximately 20 people gathered for the second annual Secular Summit in the Museum Gallery in the Ohio Statehouse in downtown Columbus. 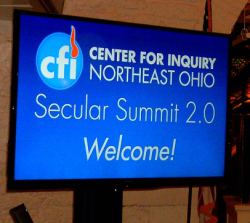 The summit was organized and hosted by the Center for Inquiry Northeast Ohio (CFI NE Ohio) but included people from the various secular groups in Ohio. In the morning we had several speakers, some training in lobbying, and then the afternoon was when participants visited their Representatives and Senators to introduce themselves and the issues of importance to seculars in the state. The extreme cold couldn’t keep us from talking to the legislature, most of whom have completely opposite views. This entry was posted in Entanglement, Groups, Politics, Positive and tagged abortion, Center of Inquiry Northeast Ohio, church and state, citizen action, grassroots, lobbying, Ohio, Ohio Representative Cheryl Grossman, Ohio Senator Jim Hughes, religious privilege, Secular Summit on January 30, 2014 by Doug. 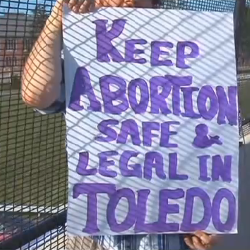 In 2012, anti-choice groups got a heartbeat bill introduced in the Ohio legislature in an attempt to make abortion technically illegal. The bill was passed in the Ohio House but died in the Senate. This week the heartbeat bill was reintroduced by the same man who introduced it in 2012, Republican state Rep. Lynn Wachtmann of Napoleon. This time they used the celebrity Quiverfull proponents The Duggar Family as props at the press conference. Even after Ohio just enacted some of the most restrictive regulations on abortion in the country, the forced-birth people are back again for more restrictions. This entry was posted in Entanglement, Politics, Religious Intolerance and tagged abortion, church and state, heartbeat bill, Ohio, quiverfull, reproductive choice, The Duggar Family on August 17, 2013 by Doug.